ARCHIBALD ACHESON (1583-1634), descended from a good family in Scotland, was seated at Gosford, Haddingtonshire, previous to his settlement in the Province, where we find him in 1610. 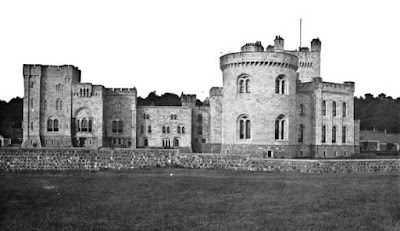 In the following year he had passed patent for a large proportion of land in County Armagh, and at the same time his younger brother, Henry, passed patent for a smaller proportion in the said county, which lands he afterwards assigned to Sir Archibald. This Henry Acheson returned to Scotland and there died unmarried. Sir Archibald was "so steady and zealous a friend" of the protestant interest in Ulster that seven years after he obtained this grant (according to the survey made by Nicholas Pynnar) he had 203 men upon his estate capable of bearing arms. In 1612, he obtained another grant from JAMES I of a small proportion of land in County Cavan containing 1,000 acres. In 1628, he was created a baronet; and in 1630, this gentleman obtained, in conjunction with Pierce and Walter Crosbie, a territory in Nova Scotia, Canada, called Bonovia [sic]. He was also Solicitor-General, a senator of justice, and many years secretary of state for Scotland; which latter office he continued to fill until his decease in 1634. He died at Letterkenny, County Donegal, at his nephew's house, Sir William Semple, Knight. SIR ARTHUR (1688-1749), 5th Baronet, who wedded Anne, daughter of the Rt Hon Philip Savage, Chancellor of the Exchequer in Ireland, by whom he had issue, five sons and two daughters. SIR ARCHIBALD (1718-90), 6th Baronet, who was elevated to the peerage, in 1776, in the dignity of Baron Gosford, of Market Hill, County Armagh; and advanced to the viscountcy, as Viscount Gosford, in 1785. ARTHUR, 2nd Viscount; who was created EARL OF GOSFORD, in 1806. Millicent, m Rev J H Barber MA. ARCHIBALD, 2nd Earl (1776-1849), GCB, PC. Charles David Alexander John Sparrow Acheson, 7th Earl (b 1942). The heir presumptive is the present holder's first cousin Nicholas Hope Carter Acheson (b 1947). 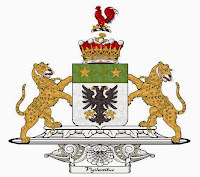 He is the eldest son of the Hon Patrick Bernard Victor Montagu Acheson (1915–2005), second son of the 5th Earl. GOSFORD FOREST PARK, near Markethill, County Armagh, is one of the most beautiful demesnes in Northern Ireland. There are woodland and forest walks; the walled garden; and a caravan and camping site within the park. 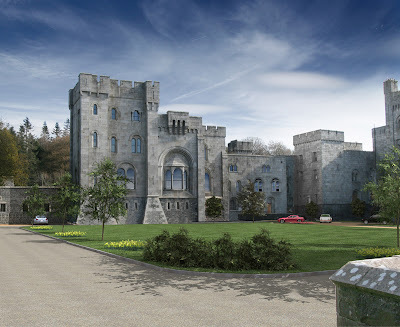 Gosford Castle is said to be the largest private mansion house in Northern Ireland. The estate was sold to the NI Government shortly after the 2nd world war. The castle was restored between 2006-8 and has been divided into a number of apartments. The Gosford Papers are deposited at PRONI. First published November, 2009. Gosford arms courtesy of European Heraldry. Patrick MacNaghten used to say he had the biggest house in the North - but there are lots of claimants! I shouldn't think Gosford counts in any event, given that, as you say, it's now apartments. From what I've seen it's been totally ruined..I'm no fan of 'country house apartments' and these seem particularly bad. Of all Armagh's great houses (and there wasn't many of them) none of them are with their original family; the houses at Tynan and Drumbanagher are gone, but both those estates are still with the original families, which is something. I stayed at Gosford several times during 1972/3 I especially remember the location of the NAAFI shop and taking your chances, dodging the falling masonry whilst making purchases at same!